Hello! Today I have a review of some items from new to me nail art and cosmetics brand, Beauty Big Bang. The brand approached me and kindly offered to send me a few things of my choosing to try out. I'm always looking for new nail art supplies, so happily accepted. I also have a discount code which I will share at the end. Read on to see what they sent me! The first item I chose is an acetone pump bottle (online here, SKU:B5834). I've been after one of these for quite some time, as I do have a tendency to spill my remover now and then. I've used this a few times now and find it very helpful. It holds 150ml of remover (or acetone), and gently pumps out small amounts at a time. I also love the pink neck as it matches my remover! Next, I asked for some nail vinyls. This specific set (online here, SKU:A1507) has 24 sheets of laser cut holographic vinyls, each with 3 different designs. 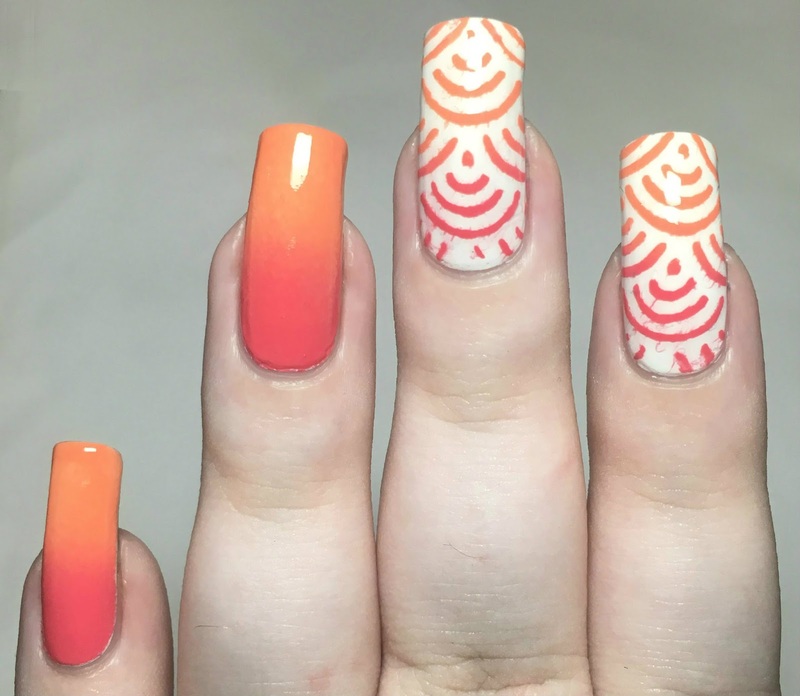 When they arrived I was happy to see that they are long enough for my nails. I find it easier to make decals with these, so did just that for the two manis below. 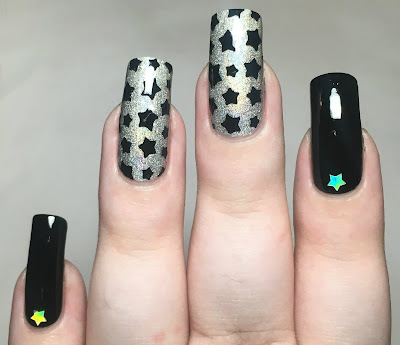 For my first look, I used the star design. 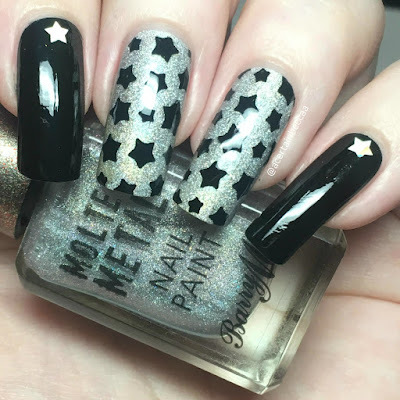 For my middle two nails, I created decals using the vinyls and black polish. I then applied them over Barry M 'Holographic Lights'. On my outer two nails, I simply added one of the left over stars (like stickers) over a black base. 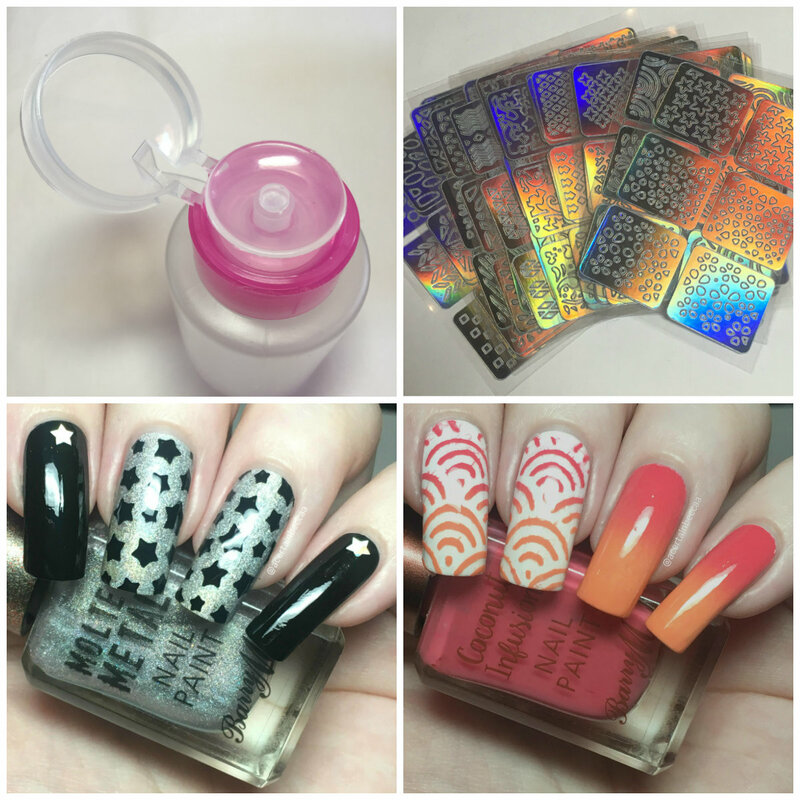 Beauty Big Bang also sent me some of their peel off nail protector stencils (online here, SKU:50140-WRD). 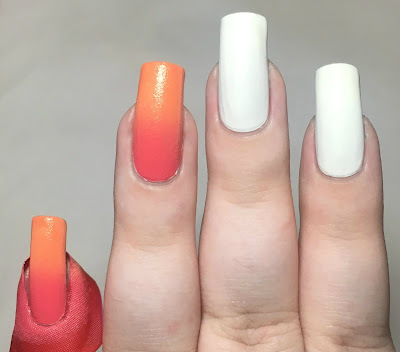 I tested these out while creating a gradient of Barry M 'Aloha' and 'Flamingo' for my next mani. As you can see on my ring nail, I needed hardly any clean up after peeling them off. 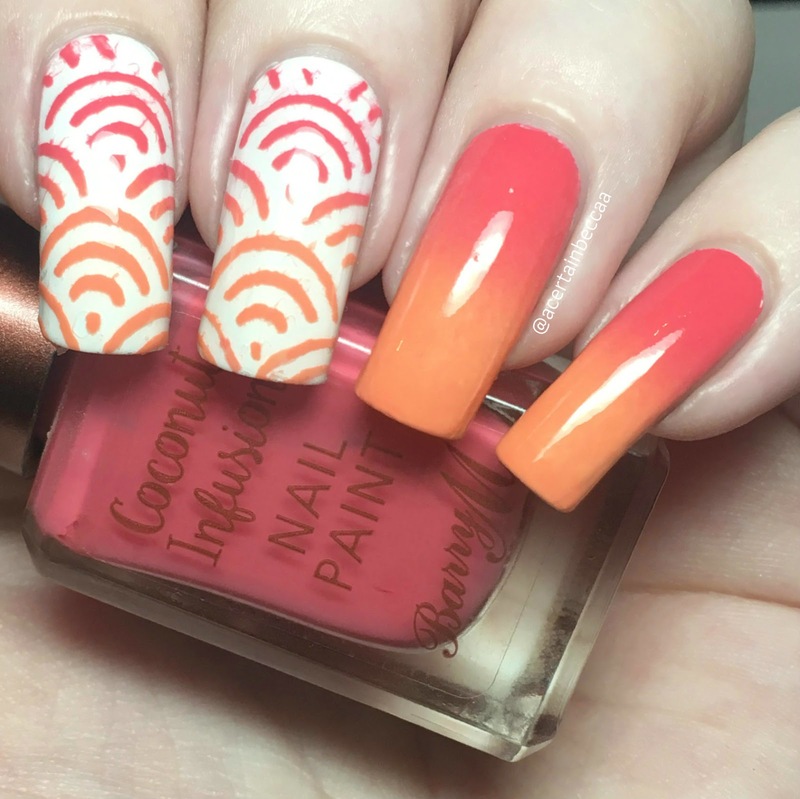 I used the same gradient to make decals using my chosen vinyl pattern. I then applied them over a white base. I managed to smudge them slightly, but it was entirely my fault for impatiently topcoating my decals too soon. What do you think? I'm really impressed with everything I was sent. The acetone pump bottle is super handy, the peel off nail protectors work, and the vinyls are great too. The only slight downside is that the vinyl pack only comes with two of each pattern - but with the amount of sheets and the price, I'd just get two (or more) packs! All items shown, among with a massive range of others, can be found on the Beauty Big Bang website here. They are based in China but offer free worldwide shipping. My package took around 3 weeks to arrive. Use code BECCA10 for 10% off your order. Hi, Becca your nail art and beauty big bang are simply excellent. Your nail art is just awesome. Thanks for sharing all thee information where it is based and duration of its arrival and more than that a code which will give us 10% discount.